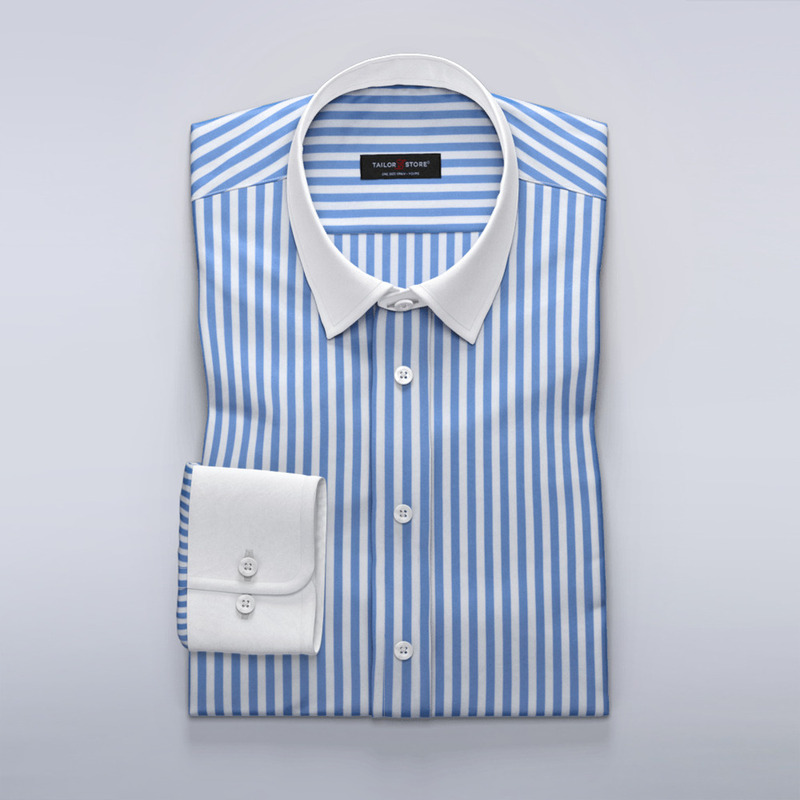 Light blue business shirt in satin weave with distinct stripes. This is the ultimate power shirt. Wearing this dress shirt you’ll feel exceptionally dressed and ready to face whatever the day brings you. Dare to go with white contrasts on collar and cuff for an even sharper business look. Made to your measurements.